A blog and The Life In Between : Weekend in LA. 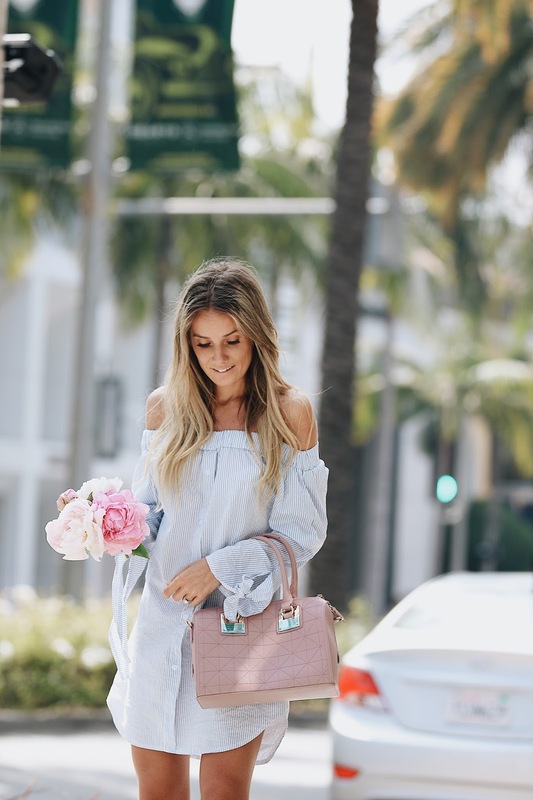 Talking peonies, June Gloom & statement bags. Weekend are for cute, comfy clothes & nothing beats a good shirt dress, especially with off shoulder detail which is perfect for summer. The material is also very light and you can easily tuck the shirt dress into a pair of shorts or jeans and easily turn it into a cute blouse. I have also added a few statement bags to my closet this month by Miztique & I am obsessed! They have so many different sizes and all the colors are on point. 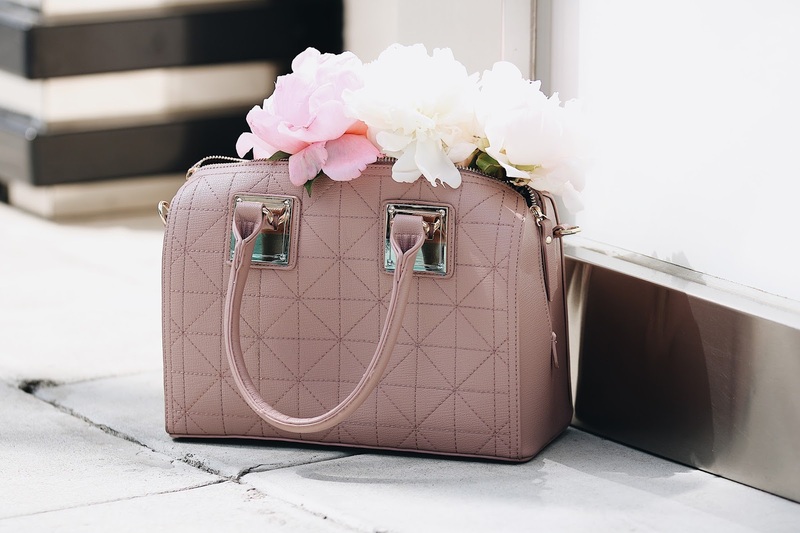 If you love a good mini/mid size bag in neutral colors you HAVE to check them out, they're also budget friendly which makes it that much better! 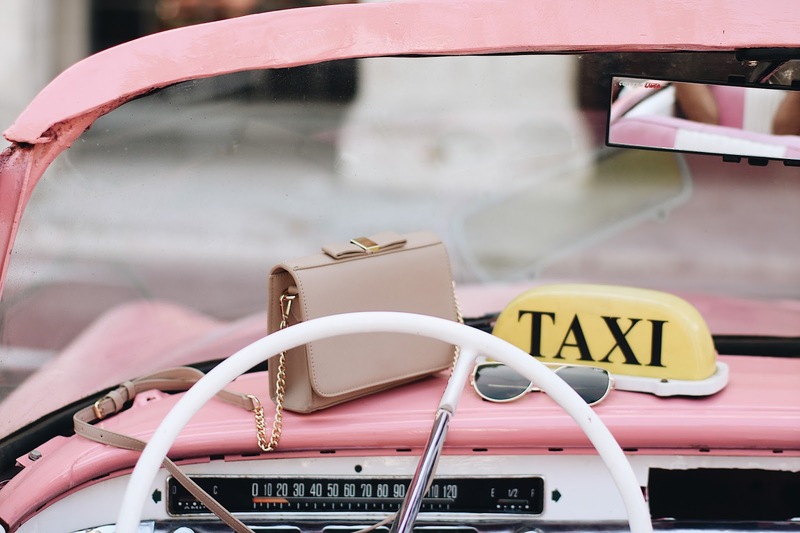 I've been on a lookout for a good mini bag and when I saw the one pictured below with a metallic bow detail I fell in love, I even brought it to Cuba hehe. Linking the two bags I got along with some other faves by Miztique at the bottom of the post for you ladies to shop. Mini bag: Miztique. Buy on HERE. Medium size bag: Miztique. Buy on HERE. Linking a few of my other faves by Miztique at the bottom of the post. Thank you Miztique for partnering with me on this post.